To celebrate the 400th anniversary of Cupids, Newfoundland and Labrador, Canada Post has created a commemorative stamp. 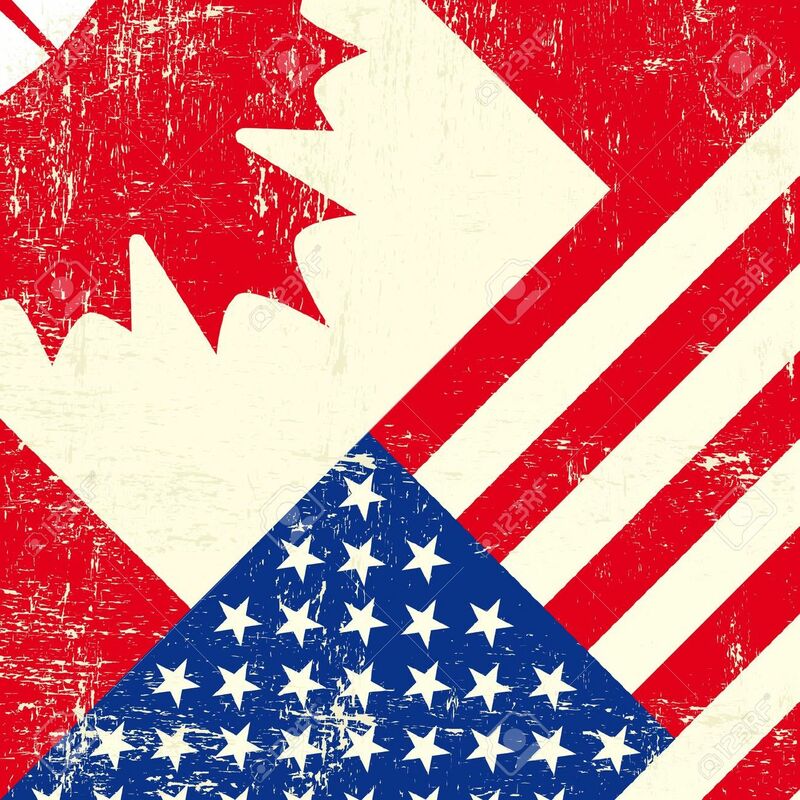 Cupids was the first English settlement in what is now Canada. 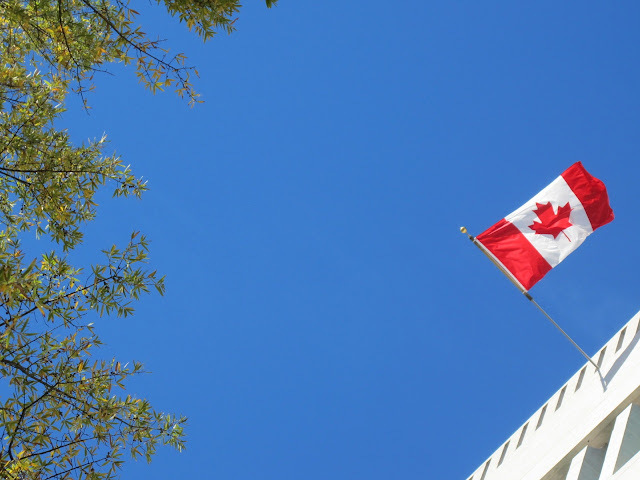 The stamp was unveiled by Canada Post and community representatives on August 17, 2010 at the Cupids Legacy Centre. I've never heard of Cupids before, but it's obviously been around awhile. In August of 1610, English colonists led by Bristol merchant John Guy arrived at Cupids. Located on the north side of Conception Bay on Newfoundland's Avalon Peninsula, the colonists established an English settlement on the site. In 1995, evidence of their colony was uncovered by a team led by archaeologist William Gilbert from the Baccalieu Trail Heritage Corporation. Since then, the remains of six early 17th-century structures and more than 147,000 artifacts have been unearthed. 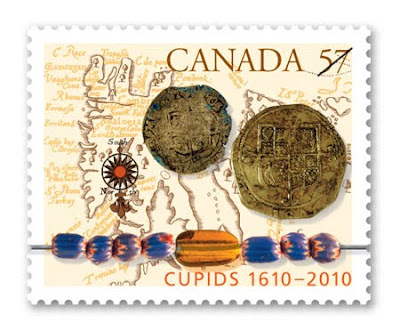 The Cupids 1610-2010 stamp features a portion of a 17th-century map of the Avalon Peninsula; this was the first map to show Cupids' location. The coins, glass and rare amber beads on the stamp are images of the uncovered artifacts and highlight the commercial rationale for the settlement. Steven Slipp of Semaphor Design was the stamp's designer, and attended the unveiling. The ceremony is one of many special occasions to mark the anniversary hosted by Cupids 400 Inc.
Canada Post is printing 1.75 million Cupids stamps with a value of 57 cents, which is the domestic letter rate. Each stamp is 40 mm x 32 mm. The official first day cover cancellation will read Cupids, Newfoundland and Labrador.